Our Templates’ basic purpose is not only to get pages ranked but to stay ranked. Our pages rank for longer and actually rank higher with time. We’ve build templates for some of the most “famous” Mass Optimizers. We create stunning Templates using your own website as the model for your pages. We have a collection of ready made templates, which are completely “plug’n play”. Our themes are created with the intention of making the visitor “feel” like they’ve landed on a “real” website. With “the black theme” you’ll have to keep pumping out new pages, just to get the same amount of hits. Our pages “gently guide” the visitor to your money pages. 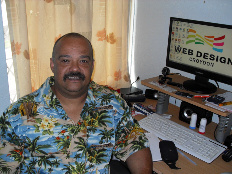 Carl Riedel Owner and developer of My Own Webpage Generation Templates and Web Design Croydon. If you want your pages to rank in the search engines contact us. Increase visitor interaction Through clever use of videos, we can actually make visitors spend more time on your page, before guiding them to your money page(s). Instil confidence Instead of seeing an ugly unreadable black page, your site visitors will see a page, that looks almost exactly like your homepage. Carl does great work. He can take any existing website, and then convert that website into a template without showing bad text on the page. Then you are essentially doing runs with your own website page — not a recommendation page template. MOWG stands for My Own Webpage Generation Templates. We have NO association with the software of a similar name. Please Note: MOWG software no longer carries the power it used to have in the search engines after the latest Google updates. Especially UAP Pages drop like flies after a brief indexing period. Our Professional Templates bring the variety you need for Mass Optimization. But NOT for MOWG Software any more. Our page templates direct traffic to your money pages. We can help you generate thousands of key-phrase optimized pages for your website and get you on the front page of Google for key-phrases you can’t even start to believe. Mass Page Creator has proven to be a much better and stable software. 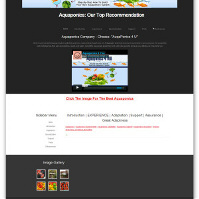 Have a look through our site and check if there are any templates that appeal to you. There are videos to help you edit your templates to specific runs. Visit our resources page for a number of free tools you can use to edit any of our html designs. These tools will make your life a lot easier when customizing web templates. All templates from our site going forward will be designed for MPC. MOWG and especially UAP runs have become a serious liability for any website. Please Note: We Do NOT build Templates for MOWG software Anymore. We’ll soon be bringing out new templates for more variability in the web pages created. So keep an eye out for new template designs coming out.